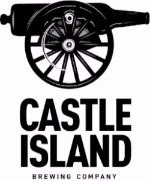 PRESS RELEASE / September 26, 2018 NORWOOD, MA – Coming off a recent gold medal win for American Lager at the U.S. Open Beer Championship, just two months later Castle Island Brewing Co. (CIBC) celebrates another victory at the 2018 Great American Beer Festival® (GABF®). CIBC took home the silver medal in the American-Style Lager or American-Style Malt Liquor category at the Brewers Association’s annual GABF, one of the largest commercial beer competitions in the world. CIBC was recognized at the festival’s ceremony which was held on September 22nd at the Colorado Convention Center in Denver, Colorado. An international panel of 293 expert judges tasted through 8,496 entries that spanned 102 beer-style categories. CIBC’s silver medal win in the American-Style Lager or American-Style Malt Liquor category saw 65 entrants. 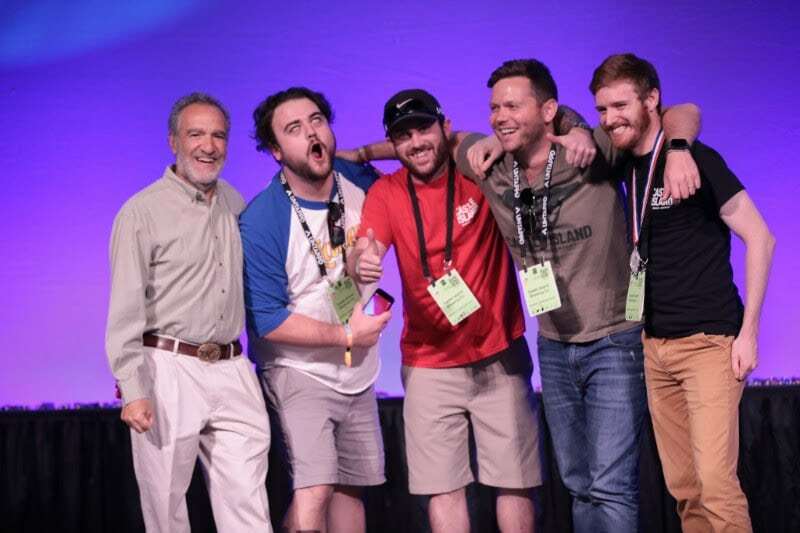 Castle Island crew onstage accepting the silver medal in the American-Style Lager or American-Style Malt Liquor category with Charlie Papazian, Founder of the Great American Beer Festival and Association of Brewers. 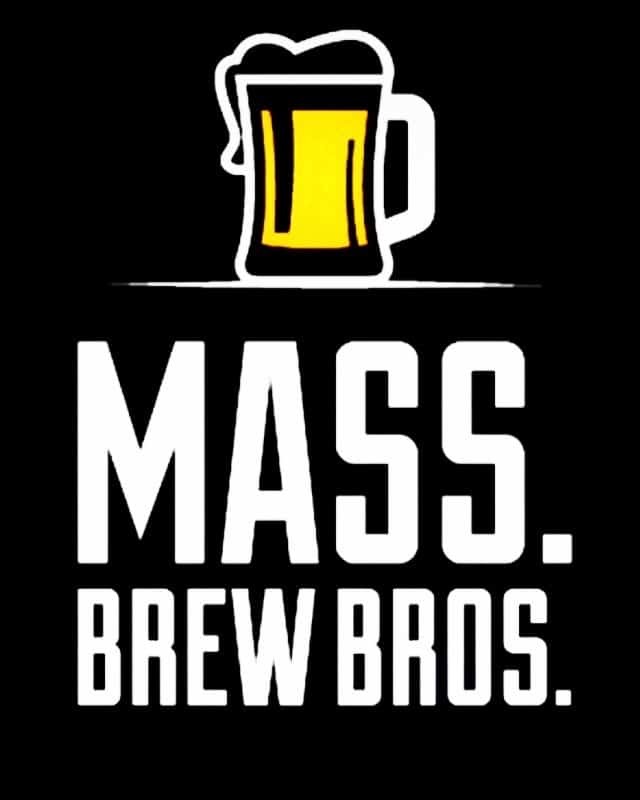 American Lager is a staple at the Norwood taproom and can be found in bars, restaurants, and at retailers throughout Massachusetts. This easy-drinking beer comes in at 5.2% ABV, emanates a light gold glow, and smells of biscuit and wheat with notes of light malt sweetness, subtle stone fruit, and an undercurrent of earthy, herbal notes. It finishes semi-dry in large part to the Czech yeast utilized in fermentation. American Lager made its debut in early March 2017 and has become a core brand at the brewery and taproom with the help of five additional 60BBL fermenters that were installed in early 2018. The new equipment alleviated some capacity constraints allowing for American Lager to become a mainstay in CIBC’s lineup. 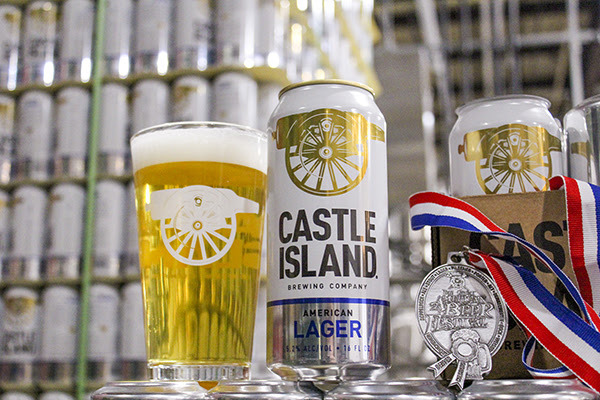 This silver medal win at GABF in the American-Style Lager or American-Style Malt Liquor category has only further solidified its place in the brewery’s portfolio. If curious folks are not able to make it down to CIBC’s taproom and retail store, then the closest location to purchase six-packs of these 16-ounce blue, white, and gold cans as well as American Lager on draft can be found here: https://castleislandbeer.com/find-our-beer/.